The Internet module NEXHO-MI gives you the possibility of controlling your heating system (Xana Plus range) by means of radio frequency, through Internet and thanks to your smartphone, TABLET or PC. 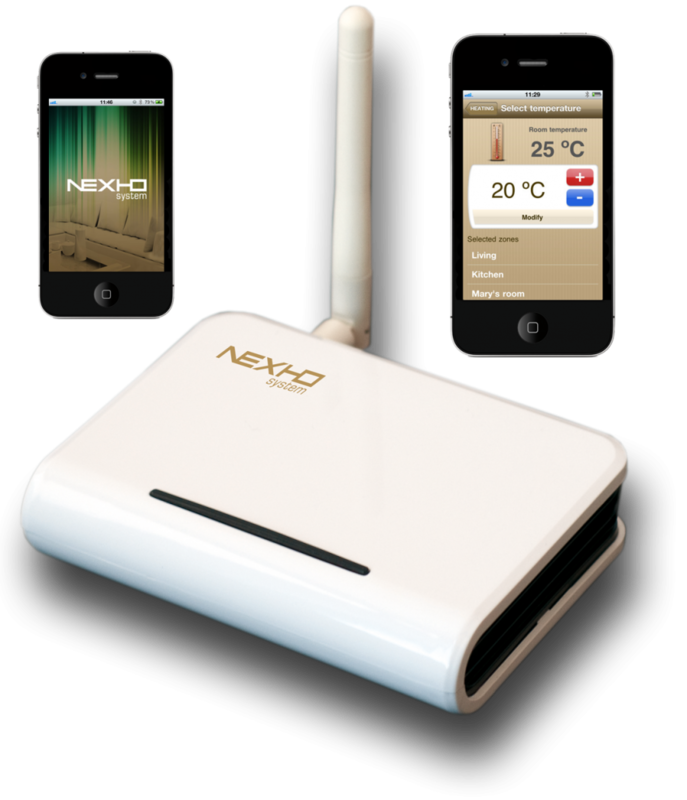 A free download of our NEXHO application (software) in your smartphone, TABLET or PC will allow you to control your heating system from anywhere in the world with an internet connection or from your home with your wireless connection. You can turn on/off your system, know at any given time the exact temperature of each individual radiator, turn the programs on/off, etc. Furthermore, the new module NEXHO-MI will also allow you to control all the products from the Nexho range: thermostats, alarms, lights, electrical products, garage doors, blinds, etc. A perfect system for those who want a better control of their living in order to achieve a better energy efficiency. Watch the video below where it outlines how to install the Nexho management device. This is a pretty straight forward step in the process, having an ipad or a device with the app helps greatly. Heat where you want it, when you want it, at a price you can afford!